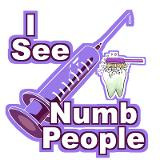 Last week I found myself settled in the dentist chair, pleading with my dentist to attempt to fill two cavities without using novacaine (I don't like the 3 hours of numbness afterwards). He humored me by agreeing to fill the lower cavity without novacaine, but insisted on numbing the more complex cavity in the upper part of my mouth (but only gave me one small shot, so not obnoxious numbing). And yes, I'm horrified I had two cavities. This after a nice long 10 year stretch without a single issue. And if I'm pointing fingers, I'll point at those long weeks of being postpartum with twins. Those postpartum hormones really do a number on you. Particularly with twins. But then I was breastfeeding on top of that. Which made me HUNGRY. That's right, hungry, hormonal, and sleep deprived. Shudder. And so it was in the middle of the night I'd be up feeding my twins (who refused to be fed together - so they had to be fed individually) and what did I turn to for comfort? Those brown sugar cinnamon Poptarts. I bought them in bulk. At Sam's. And they tasted divine. In retrospect, it's a little crazy. It's not the sort of thing I eat in my normal, nonhormonal life. When I eat sweets, it's typically things I've made from scratch. But oh how I loved those Poptarts then. I'd eat a couple every night, in the wee hours of the morning, as the twins filled their bellies with milk and the room spun around me in a soggy sleep-deprived delirium. Now do you think I got up out of bed to brush my teeth again after eating those Poptarts? No. I crashed once the twins were fed. Into the depths of a postpartum coma, for all of 2 or 3 hours, or until the next time the twins woke up screaming again. And that, my friends, is why I was having two cavities filled this past week. Payment for Poptarts. I don't think I've eaten a Poptart since I weaned the twins at 13 months. Not a one. I have no desire. In fact, they don't even sound appealing. The twins, though? Oh do they love some Poptarts. I guess if I'm going to let them have a Poptart treat now and then, I need to remember to brush their teeth afterwards, huh?! p.s. rural living usually invovles water from a well, so if you do not also use a flouride supplement that can contribute as much as pop-tarts. recent studies have shown a huge increase in cavities, even in "city folk," and the thinking is "bottled water," i.e. no flouride. SHuT Up! I LOVE those Poptarts and you just had to remind me of them, didn't you?? I used to eat the tarnation out of those and it was for no other reason than that, I just loved the things!! I used to love pop tarts. My husband always eats those S'mores ones. They look and taste so gross. No more pop tarts for me! Hahaha... I used to love the brown sugar and cinnamon pot tarts. If I could, I would probably still eat them. I don't like novacaine either. I haven't had cavaties in years but when I do get them, I try to do the fillings without the novacaine. I hate coming out of the dentists looking like I had a stroke because part of my face sags. So unattractive! Well, don't feel bad, I go to the dentist Thursday to have 3 cavities filled. And then the following week to have a crown. I'm afraid I have and addiction: skittles. Oh, and rice crispie snacks, oh and Klondike bars....Now it all makes sense. that reminds me I keep postponing the yearly dentist check-up.. not looking forward to, though to my best knowledge, I'm currently cavity-free so there should be no novocaine involved.. I'm not a huge Poptart fan but you sure made me want one of those cinammon, brown sugar ones! My Mom never has novicane either. You are doing well though...2 in 10...better than most! I inhaled a box of pumpkin pie Pop Tarts last fall. I don't remember if I brushed afterwords. You're my hero Lisa in so many ways - but fillings without numbing??? I know what you mean about those postpartum sleep-deprived months and I never had twins!! I was eating chocolate chip cookies like it was my job. I'm with Michael - it's more likely the water is the culprit. I love pop tarts! Mainly because they remind me of childhood! My boy thinks they are nasty and if the subject comes up he refers to them as cardboard with icing! You know, when you're in that postpartum delirium (especially with your two guys who wouldn't nurse together), you've gotta do what you gotta do. Not a Pop-Tart lover. But they used to make a product called Go-Tarts. Now those things were the bomb! I'm sorry for the cavities but, like you, I wouldn't have crawled out of bed for anything less than a full bladder. Then, I'd brush my teeth; might as well get everything I could out of the trip. Poptarts are standard fare here. I guess the Mrs. has other foods that she avoids in memory of our twins. Postpoptartum!i wake often and want to eat with the crazy hours I have. That's hilarious how you can pin down the source of tooth decay like that! Those are my favorite kind of Poptarts and I LOVE them! I don't allow myself to eat them anymore, but I love them! But I can't believe you'd be willing to go through that with pain meds. I could never! Do you know I have never had a Poptart? I don't want one ever when I see that you have blamed them for your cavities. I am concerned they could become addictive as you found out to your cost!! What a strange and funny trail on this post!! I love it, it was so much fun reading as you connected the dots. SEPARATE FEEDINGS??? Well, you just had to have something to get you through it!! I don't like the Novocaine either and will do without it if I can. Now if you will excuse me, I'm going into the kitchen to put brown sugar/cinnamon pop tarts on the grocery list! Post parted with twins... I remember those days... Except mine were in the nicu and I got addicted to rice crispy squares because it was all the cafeteria had... When they came home they were on formula though and rice crispy squares meant I had to make them so thankfully no cavities for me. But like someone else said, 2 in 10 years is pretty dang good!! Whoa! Novacaine-less cavity filling- I'm impressed! I shudder at the thought! Actually I shudder at the thought of going to the dentist, period! I remember those mornings like they were yesterday! I don't really like poptarts. I do get them for the kids. The only one I will eat if I eat one is the apple cinnamon ones. I didn't get my first real cavity until I was 40! Since then I've had 4 total I think. This past summer I had 2 cavities that kept falling out and would have to be put back in. I did talk them into not using the needle on me to refill them twice but the last time they made me do it do they could drill deeper to try to get it to stay in. I don't think anyone hears you more clearly than another mother of twins. I bet you can remember having morning sickness twice as bad too right? That is also hormonal. I think I ate 3000 or more calories a day when I was breastfeeding. And so much of it was delicious middle of the night goodies like that. I understand completely how this would have happened to you! Two cavities in 10 years is pretty good! I do love some brown sugar pop tarts, but just every now and again. I think anything done in the post partum, sleep deprivation is excusable! I was lucky if I got a shower in and my teeth brushed by noon. I can't imagine how you did it with twins. Ha! Oh my goodness...the brown sugar ones are my favorite!! And I still eat them sometimes.